The new agreement incorporates a U.S.-Russian bargain: the Syrian air force is prohibited from operating except under very specific circumstances in return for U.S.-Russian military cooperation against Al Qaeda and the Islamic State, also known as Daesh, ISIS or ISIL. That compromise could be a much stronger basis for an effective ceasefire, provided there is sufficient motivation to carry it out fully. 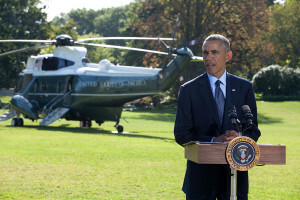 The question, however, is whether the Obama administration is willing to do what would certainly be necessary for the agreement to establish a longer-term ceasefire at the expense of Daesh and Al Qaeda.In return for ending the Syrian air force’s operations, generally regarded as indiscriminate, and lifting the siege on the rebel-controlled sectors of Aleppo, the United States is supposed to ensure the end of the close military collaboration between the armed groups it supports and Al Qaeda, and join with Russian forces in weakening Al Qaeda. The new bargain is actually a variant of a provision in the Feb. 27 ceasefire agreement: in return for Russian and Syrian restraints on bombing operations, the United States would prevail on its clients to separate themselves from their erstwhile Al Qaeda allies. But that never happened. 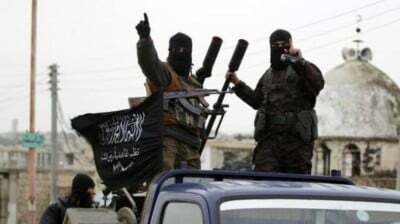 Instead the U.S.-supported groups not only declared publicly that they would not honor a “partial ceasefire” that excluded areas controlled by Al Qaeda’s affiliate, then known as Nusra Front, but joined with Nusra Front and its close ally, Ahrar al Sham, in a major open violation of the ceasefire by seizing strategic terrain south of Aleppo in early April. As the Kerry-Lavrov negotiations on a ceasefire continued, Kerry’s State Department hinted that the U.S. was linking its willingness to pressure its Syrian military clients to separate themselves from Al Qaeda’s forces in the northwest to an unspecified Russian concession on the ceasefire that was still being negotiated. It is now clear that what Kerry was pushing for was what the Obama administration characterized as the “grounding” of the Syrian air force in the current agreement. Now that it has gotten that concession from the Russians, the crucial question is what the Obama administration intends to do about the ties between its own military clients and Al Qaeda in Aleppo and elsewhere in the northwest. Thus far the primary evidence available for answering that question is two letters from U.S. envoy to the Syrian opposition Michael Ratney to opposition groups backed by the United States. The first letter, sent on Sept. 3, after most of the Kerry-Lavrov agreement had already been hammered out, appears to have been aimed primarily at reassuring those Syrian armed groups. Ratney confirmed that the U.S. would in return “offer Russia coordination from our side to weaken al Qaeda.” But he also assured U.S. clients that their interests would be protected under the new agreement. The Ratney letter makes no reference to any requirement for the armed opposition to move away from their Al Qaeda allies or even terminate their military relationships, and thus implied that they need not do so. The difference between the two messages is obviously dramatic. That suggests that one of the last concessions made by Kerry in the Sept. 9 meeting with Lavrov may have been that a message would be sent to U.S. military clients with precisely such language. The totality of the two letters from Ratney underlines the reluctance of the United States to present an ultimatum to its Syrian clients, no matter how clearly they are implicated in Al Qaeda operations against the ceasefire. Last spring, the State Department never publicly commented on the participation by the U.S.-supported armed groups in the Nusra Front offensive in violation of the ceasefire agreement, effectively providing political cover for it. The decision by U.S.-supported armed groups in March to defy the ceasefire was taken in the knowledge that Turkey, Qatar and Saudi Arabia had agreed to resupply the Nusra Front-led commands in the northwest and had even provided shoulder-fired surface-to-air missiles to Nusra’s close ally Ahrar al Sham. Turkish President Recep Tayyip Erdogan’s recent shift in policy toward rapprochement with Russia and his talk of ending the war in Syria are fueled by determination to prevent Syrian Kurds from establishing a unified Kurdistan along the Turkish border. But Erdogan does not appear ready to pull the rug out from under Turkey’s client groups in Syria. 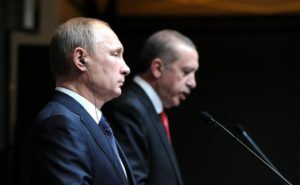 In fact, Turkey suddenly dialed back its rhetorical shift on Syria in July just when the newly renamed Jabhat Fateh al Sham revealed for the first time that it was about to launch its major offensive for Aleppo. The domestic political context of U.S. Syrian policy remains strongly hostile to any joint U.S. operations with Russia that could affect U.S.-supported anti-Assad clients, even though it is now generally acknowledged that those forces are “marbled” with troops of Al Qaeda’s franchise, especially in Aleppo. During the spring and summer, Reuters, The Washington Post and other media outlets reported a string of complaints from the Pentagon and the CIA about Obama’s plans to reach an agreement with Russia on Syria that would commit the United States to cooperate against Al Qaeda’s Syrian franchise. These complaints argued that the Russians could not be trusted and that they intended to target U.S –supported groups in a proxy war. The real reasons for these attacks on the negotiations with Russia, however, were more parochial. The Pentagon is determined to maintain the line that Russia is a dangerous threat and should be firmly opposed everywhere. The CIA’s clandestine service has long wanted a more aggressive program of military assistance for its Syrian clients, which would be a major CIA covert operation. 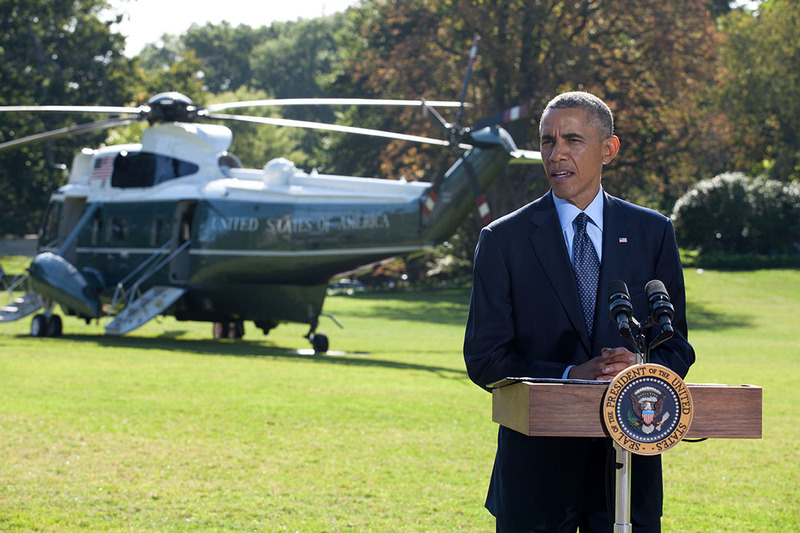 Thus, even though the new agreement calls for U.S. “coordination” with Russia of air strikes against Al Qaeda forces, the Obama administration can be expected to raise objections whenever it sees that a proposed operation would come too close to targets associated with its clients. Otherwise, more leaks from opponents of the agreement in the Pentagon and CIA – or even in the State Department – would surely follow.